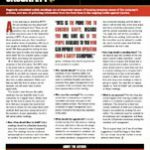 For the manufacturing purpose, a simplified approach can be used for the development of the CAD models of the gear and the pinion in the right-angle bevel gear set under consideration. This approach is based on the schematic shown in Figure 1. Using commercial software ProE, base cones of the gear and the pinion were constructed according to Figure 1. Then, a plane tangent to both base cones was constructed. This plane is the plane of action, PA A circular arc of the radius Rlc=200mm is drawn within the plane of action so that it intersects the middle circle of the PA at the angle equal to 90° _ψlc=80°. Figure 2 The tooth flanks G and P of the gear and the pinion were generated as the corresponding families of the desirable line of contact,LCdes, in its motion in relation to a reference system associated with the gear (for the CAD model of the bevel gear), and in its motion in relation to a reference system associated with the pinion (for the CAD model of the bevel pinion). Use of the discussed approach enables one to develop CAD models of the gear and the pinion in the right-angle bevel gear set (Figure 3). The accuracy of the developed CAD model was verified by means of sections of the tooth flanks G and P by a plane tangent to the base cone of the gear (and of the pinion) as illustrated in Figure 4. In all cases, the tooth flanks G and P make line contact with each other. The developed CAD models were used for rapid prototyping (plastic models of the gear and the pinion for the right-angle bevel gear set are illustrated in Figure 5) and also was converted to a G-code for cutting bevel gears of the proposed design on a five-axis NC machine (Figure 6). 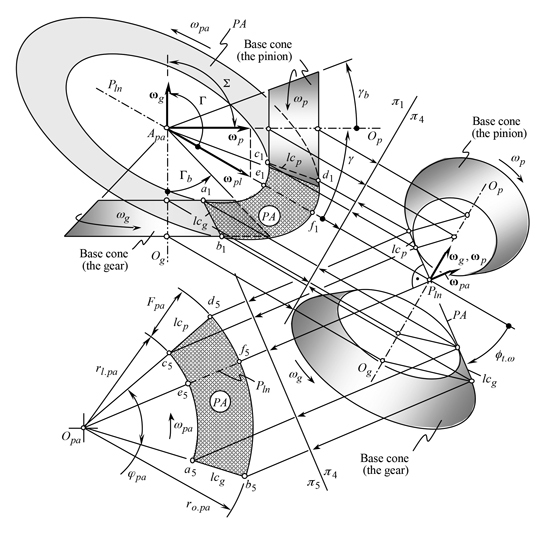 When cutting the gears, the radius of curvature,Rlc,of the desirable line of contact, LCdes, is set equal to both the convex and concave tooth flanksG and P of the gear and the pinion (Rlc=200mm). 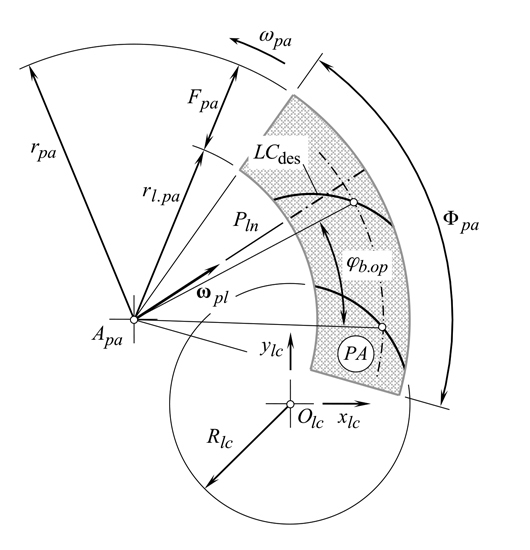 The tolerances for the tooth flanks accuracy are of the same magnitude δ, but of the opposite sign, that is, the radius Rlc is set equal to 2000–δ for the convex tooth flanks G andP, and it is set equal to 200δ0 for the concave tooth flanks. The accuracy of the machined bevel gears was verified by means of the laser scanning of the machined tooth flanks with the consequent comparison of the scanned data with the corresponding points generated by the CAD model. The actual tooth flanks of the gear and the pinion deviate from the desirable tooth flanks G and P less than 0.01 mm. Contact pattern. 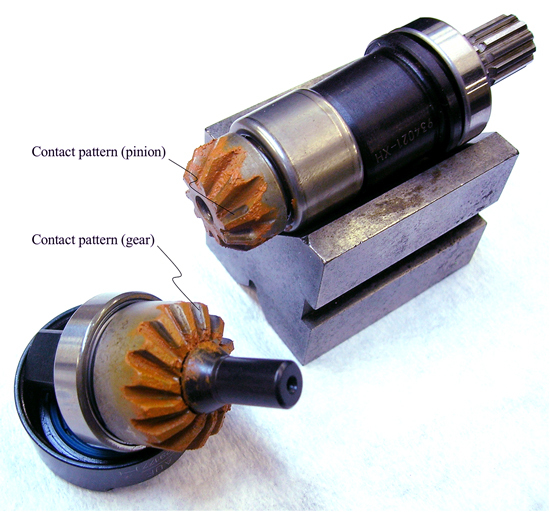 Before running a contact pattern test, the contact geometry of the bevel gears of the developed design was investigated in comparison to that of the similar gear set cut using Gleason method of gear generating. The comparison is performed based on the developed CAD models. Predicting the contact geometry of the tooth flanks. 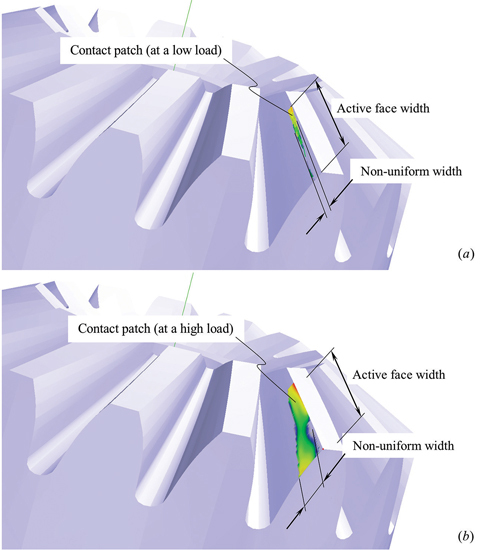 When a bevel gear tooth flank is generated following Gleason method of gear generating, the contact patch (Figure 7) is of non-uniform width that is clear follows from the analysis of contact patches at a low load (Figure 7a), as well as at a high load (Figure 7b). The contact patches are considered only within the active face width where the tooth flanks G and P overlap one another. These two types of the contact patch convince us that, geometrically, the gear and the pinion tooth flanks make contact at a distinct point and not a line. 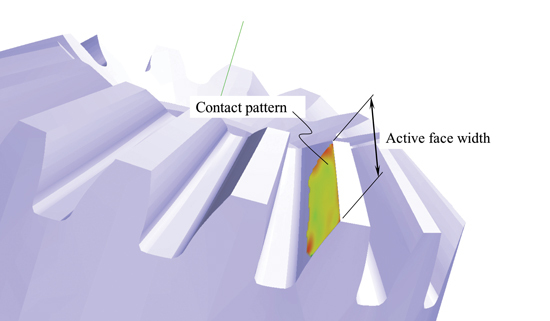 Because of the point contact, contact stresses in the vicinity of the contact points are always increased.Point contact between the tooth flanks of bevel gears cut by Gleason method is the result of violation of the second and the third conditions listed at the beginning of the paper. The violation of the second and the third conditions occur because the geometry of the tooth flank of the imaginary crown rack generated by the cutting edges of the face milling cutter deviates from that of the desirable imaginary crown rack. In cases of gears with a large tooth count these deviations are usually small and often can be ignored. In cases of gears with a few teeth the deviations become much larger and cannot be ignored. In cases of the geometrically accurate bevel gears, the contact patch is of uniform width (Figure 8). Therefore, the gear and the pinion tooth flanks make line contact with each other, and not point contact. The line contact between tooth flanks G and P is observed due to all three conditions are fulfilled in the case of geometrically accurate bevel gearing. Line contact between the tooth flanks G and P results in a uniform loading of the bearing surfaces and in the corresponding reduction of the contact stresses. 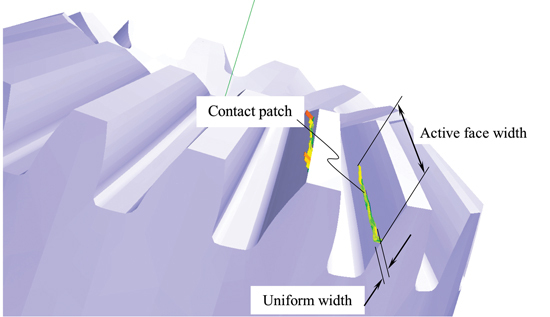 When the gear tooth flanks are in line contact, it is anticipated that the contact pattern spreads over the entire tooth flank of the gear and the pinion as shown in Figure 9. 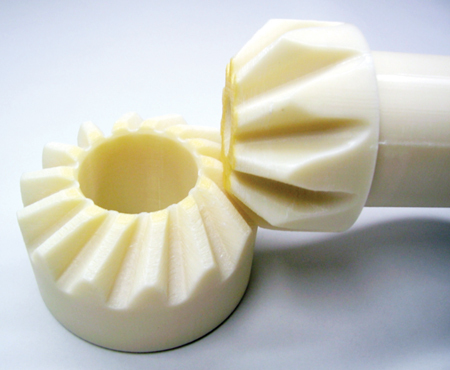 Bevel gears with a novel geometry of the tooth flanks are discussed in the paper. Three requirements which geometrically accurate gearing must meet are outlined. 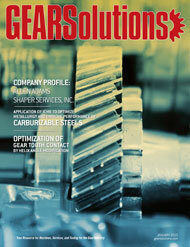 Gearing of the proposed design satisfies all three of necessary conditions for geometrically accurate gearing. Due to that, the tooth flanks of the gear and the pinion are always in line contact with one another. Line contact of the tooth flanks is favorable as it allows for a reduction of contact stress. Because of the tooth flanks of the gear and the pinion are in line contact this significantly improves the contact pattern. Ultimately, the torque density can be increased; the noise excitation can be reduced, as well as performance of the gear pair in whole can be improved. The gearing of the proposed design is especially useful in cases when tooth count of the gear and the pinion goes down to twelve teeth and a fewer. 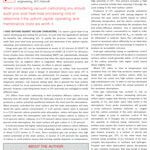 Gears with tooth flanks of the novel geometry can be cut either on a multi-axis NC machine by a ball-nose milling cutter, or on conventional bevel gear generators using for this purpose novel methods of gear generating . 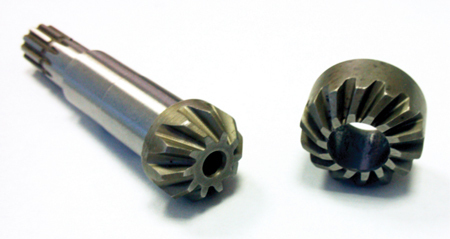 Conventional methods of bevel gear machining  enable only an approximated generation of the tooth flanks that commonly is applicable in case of gears with a large tooth count. The gears can be cut to the blueprint, that is, with equal base pitches. Once the base pitches of the finish-cut gears are equal (see the above listed requirement No. 3), then no lapping is required to finish bevel gears. 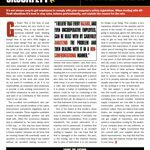 Additional Authors: Vishnu Irigireddy, MS,Apex Tool Group, LLC, Lexington, South Carolina, USA. Phone: +803-808-6738 (off), 803-466-1087 (cell), e-mail: vishnu.irigireddy@apextoolgroup.com. 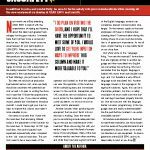 Sandeep M. Vijayakar, Ph.D., advanced Numerical Solutions LLC. 3962 Brown Park Drive, Suite C, Hilliard OH 43026 USA, Phone: (614)771-4861 (614)771-4861, Fax: (614)453-8762, e-mail: sandeep@ansol.com. 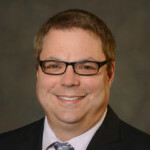 John Stewart, Apex Tool Group, LLC, Lexington, South Carolina, USA, Phone: +803-951-7559 (off), 803-800-4547 (cell), e-mail: John.Stewart@apextoolgroup.com. 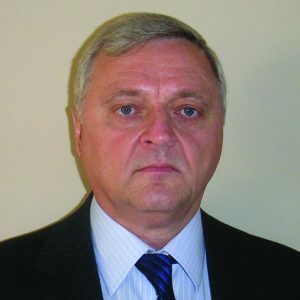 Ty P. Warner, P.E., TYKA Engineering, LLC, Eagle River, Wisconsin, USA, Phone: +218-341-9689 (cell), e-mail: tywarner@peoplepc.com. ** Known formulae and equations derived for bevel gears are also valid for gears with a large tooth count and not vice versa. This equation was proposed by Prof. Shishkov as early as in 1948 (or even earlier) in his paper: Shishkov, V.A., “Elements of Kinematics of Generating and Conjugating in Gearing”, in: Theory and Calculation of Gears, Vol. 6, Leningrad: LONITOMASH, 1948. In detail, this equation is also discussed in the monograph: Shishkov, V.A., Generation of Surfaces in Continuously Indexing Methods of Surface Machining, Moscow, Mashgiz, 1951, 152 pages.